It’s the final meeting of 2016 for Dundalk and what better way to bring the curtain down than a competitive 14-runner handicap with just shy of €15,000 to the winner. 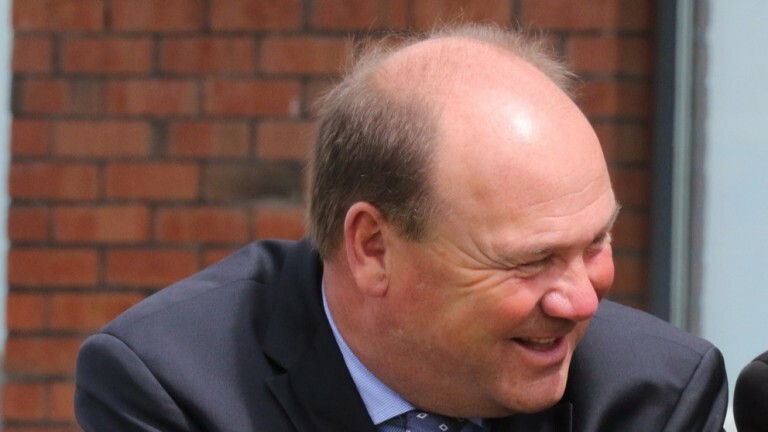 Michael Halford, who has enjoyed another hugely successful year at the County Louth track, hopes to go out with a bang as he sends Chestnut Fire, Hat Alnasar and Russian Soul into battle. The Curragh trainer last won this race in 2013 with stable stalwart Rummaging, and jockey Shane Foley has decided to remain loyal to Chestnut Fire, who was narrowly denied a hat-trick at the track two weeks ago. Victory tonight could earn the topweight a trip to Dubai in the new year. Hat Alnasar, a six-time course winner, is fitted with blinkers for the first time. I think seven furlongs is his trip and he seems in good form. I rode him out and he was pulling the arms off me. Our horses were under a cloud a while back but everything's fine now and hopefully he can run well. I wouldn’t be trying to get my Christmas expenses on him. He has a bad draw but you never know, Billy Lee might work his magic. I think six furlongs is his best trip though and seven might stretch him a bit. He has a little chance. He's in good order but hasn’t run in a little while. He likes the track and I think he can run well in a good race. He hasn’t a bad draw. There's no point beating around the bush, I think he'll win. He's the most honest horse you could ever have and he never lets us down. He handles the surface no problem and has won there in the past. He'll be worth looking out for when he goes over hurdles as well. I think he's well treated and I have every reason to go there with all of the confidence in the world. He has a bad draw and it’s a good race. He's in good form though and I'm hoping for the best. I think six furlongs and seven furlongs are his best trips. He's been a brilliant horse for us and he won well here last time, when Michelle Hamilton gave him a nice ride. He's very quick away from the stalls and genuine as well. Hopefully he can go in again.